Among Americans, diabetes is more prevalent today than ever. Obesity is at epidemic proportions; nearly 10% of children are thought to have nonalcoholic fatty liver disease. And sugar is at the root of these, and other, critical, society-wide, health-related problems. With his signature command of both science and straight talk, Gary Taubes delves into Americans' history with sugar: its uses as a preservative, as an additive in cigarettes, the contemporary overuse of high-fructose corn syrup. 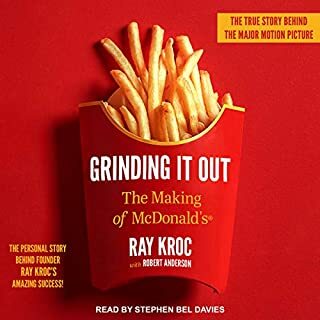 Few entrepreneurs can claim to have radically changed the way we live, and Ray Kroc is one of them. His revolutions in food-service automation, franchising, shared national training, and advertising have earned him a place beside the men and women who have founded not only businesses, but entire empires. But even more interesting than Ray Kroc the business man is Ray Kroc the man. Not your typical self-made tycoon, Kroc was 52 years old when he opened his first franchise. Dish up the red meat, eggs, and whole milk! 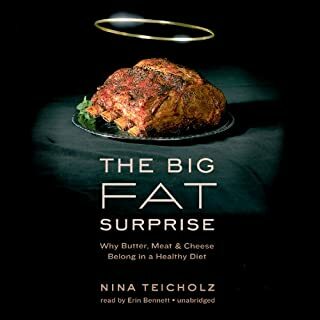 In this well-researched and captivating narrative, veteran food writer Nina Teicholz proves how everything we've been told about fat is wrong. For decades, Americans have cut back on red meat and dairy products full of "bad" saturated fats. We obediently complied with nutritional guidelines to eat "heart healthy" fats found in olive oil, fish, and nuts, and followed a Mediterranean diet heavy on fruits, vegetables, and grains. Yet the nation's health has declined. What is going on? 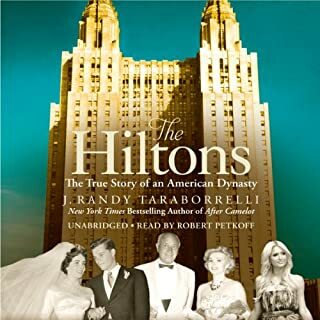 The Hiltons is a sweeping saga of the success-and excess-of an iconic American family. Demanding and enigmatic, patriarch Conrad Hilton's visionary ideas and unyielding will established the model for the modern luxury hotel industry. But outside the boardroom, Conrad struggled with emotional detachment, failed marriages, and conflicted Catholicism. Since the introduction of dietary guidelines calling for reduced fat intake in the 1970s, a strange phenomenon has occurred: Americans have steadily, inexorably become heavier, less healthy, and more prone to diabetes than ever before. 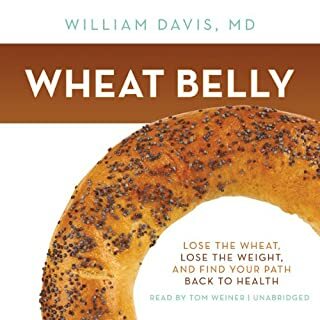 After putting more than two thousand of his at-risk patients on a wheat-free regimen and seeing extraordinary results, cardiologist William Davis has come to the disturbing conclusion that it is not fat, not sugar, not our sedentary lifestyle that is causing America’s obesity epidemic—it is wheat. 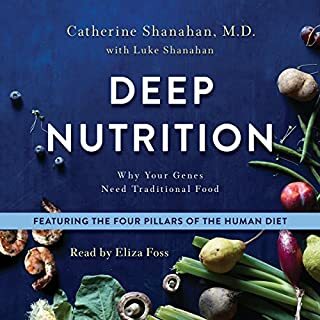 Physician and biochemist Cate Shanahan, MD, examined diets around the world known to help people live longer, healthier lives - diets like the Mediterranean, Okinawa, and Blue Zone - and identified the four common nutritional habits, developed over millennia, that unfailingly produce strong, healthy, intelligent children and active, vital elders generation after generation. These four nutritional strategies - fresh food, fermented and sprouted foods, meat cooked on the bone, and organ meats - form the basis of the Human Diet. 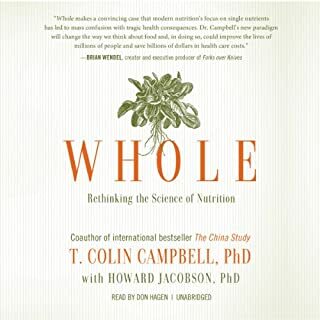 In The China Study, T. Colin Campbell revolutionized the way we think about our food with the evidence that a whole food, plant-based diet is the healthiest way to eat. Now, in Whole, he explains the science behind that evidence, the ways our current scientific paradigm ignores the fascinating complexity of the human body, and why, if we have such overwhelming evidence that everything we think we know about nutrition is wrong, our eating habits haven’t changed. 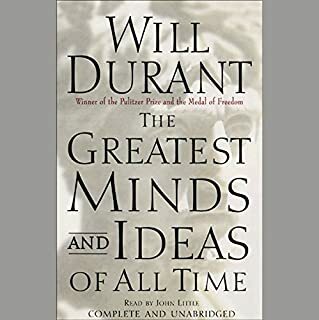 Best-selling historian and philosopher Will Durant devoted his entire life to studying the most significant eras, individuals, and achievements of human history. Here is a summation of Durant's work, as he presents the best of world history. Filled with Durant's renowned wit, knowledge, and unique ability to explain events in simple and exciting terms, it is a concise liberal arts education. I Know What to Do, So Why Don't I Do It? You might think laziness, lack of willpower, and/or low motivation are to blame for the fact that you aren't achieving your goals. But fascinating research in the field of psychoneuroimmunology has revealed another, far more likely possibility. One with the potential to transform your life in a dramatic way. 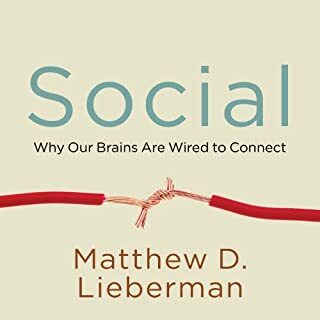 In Social, renowned psychologist Matthew Lieberman explores groundbreaking research in social neuroscience, revealing that our need to connect with other people is even more fundamental, more basic, than our need for food or shelter. Because of this, our brain uses its spare time to learn about the social world-other people and our relation to them. This book is amazing for the depth and quality. When Mehmet Oz has a patient whose life depends on losing weight, he calls on Joel Fuhrman, M.D. 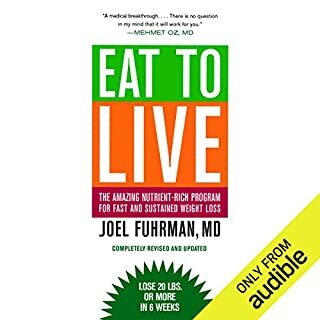 In Eat to Live: The Revolutionary Formula for Fast and Sustained Weight Loss, Dr. Fuhrman offers his healthy, effective, and scientifically proven plan for shedding radical amounts of weight quickly, and keeping it off. Why rely on drugs and surgery to cure you of life-threatening disease when the right decisions can prevent you from falling ill to begin with? 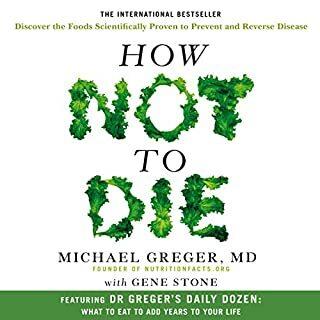 How Not to Die gives effective, scientifically proven nutritional advice to prevent our biggest killers - heart disease, breast cancer, prostate cancer, high blood pressure, diabetes - and reveals the astounding health benefits that simple dietary choices can provide. 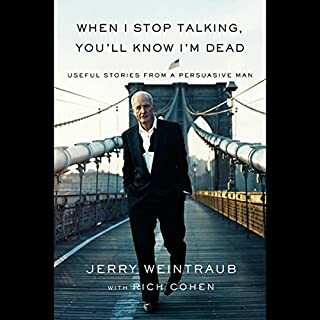 Here is the story of Jerry Weintraub: the self-made, Brooklyn-born, Bronx-raised impresario, Hollywood producer, legendary deal maker, and friend of politicians and stars. No matter where nature has placed him - the club rooms of Brooklyn, the Mafia dives of New York's Lower East Side, the wilds of Alaska, or the hills of Hollywood - he has found a way to put on a show and sell tickets at the door. 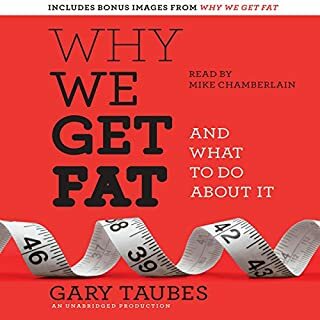 Building upon this critical work in Good Calories, Bad Calories and presenting fresh evidence for his claim, Taubes now revisits the urgent question of what’s making us fat—and how we can change—in this exciting new book. 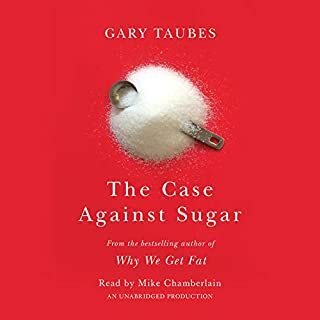 Persuasive, straightforward, and practical, Why We Get Fat makes Taubes’s crucial argument newly accessible to a wider audience. Fight cancer, diabetes, heart disease, weight gain, and even the aging process itself with one simple, scientifically proven plan to reverse disease - as well as prevent and reduce symptoms - from the world-renowned pioneer of lifestyle medicine. 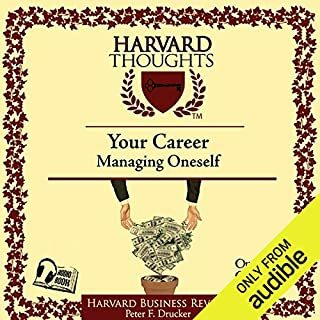 Today's successful careers are not planned out in advance. They develop when people are prepared for opportunities because they have asked themselves the right questions and have rigorously assessed their unique characteristics. This article challenges listeners to take responsibility for managing their futures, both in and out of the office. Eat the Foods You Love, Regain Your Health, and Lose the Weight for Good! From Atkins to Dukan, fear of the almighty carb has taken over the diet industry for the past few decades - even the mere mention of a starch-heavy food is enough to trigger an avalanche of shame and longing. But the truth is, carbs are not the enemy. 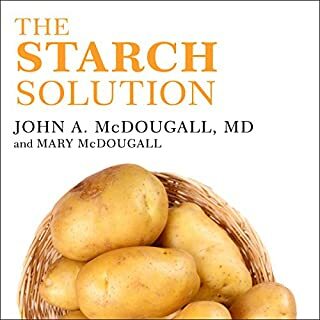 Now, best-selling author John A. McDougall, MD, and his kitchen-savvy wife, Mary, prove that a starch-rich diet can actually help us lose weight, prevent a variety of ills, and even cure common diseases. 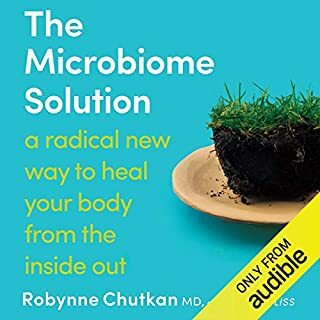 The author of Gutbliss and one of today's preeminent gastroenterologists distils the latest research on the microbiome into a practical program for boosting overall health. The microbiome - the collective name for the trillions of bacteria that live in our gut - is today's hottest medical topic. The number one New York Times best seller In China, for the first time, the people who weigh too much now outnumber those who weigh too little. In Mexico, the obesity rate has tripled in the past three decades. In the UK over 60 per cent of adults and 30 per cent of children are overweight, while the United States remains the most obese country in the world. We are hooked on salt, sugar and fat. These three simple ingredients are used by the major food companies to achieve the greatest allure for the lowest possible cost. Here, Pulitzer Prize-winning investigative reporter Michael Moss exposes the practices of some of the most recognisable (and profitable) companies and brands of the last half century. He takes us inside the labs where food scientists use cutting-edge technology to calculate the ‘bliss point’ of sugary drinks. He unearths marketing campaigns designed – in a technique adapted from the tobacco industry - to redirect concerns about the health risks of their products, and reveals how the makers of processed foods have chosen, time and again, to increase consumption and profits, while gambling with our health. Are you ready for the truth about what’s in your shopping basket? All gets down to bottom line and nothing gets in the way of it unfortunately. Amazing insight into the way consumers are manupulated and exploited. A must read. Fresh is best! The world should know how the people are being manipulated and used at the expense of their health and the building of greed. 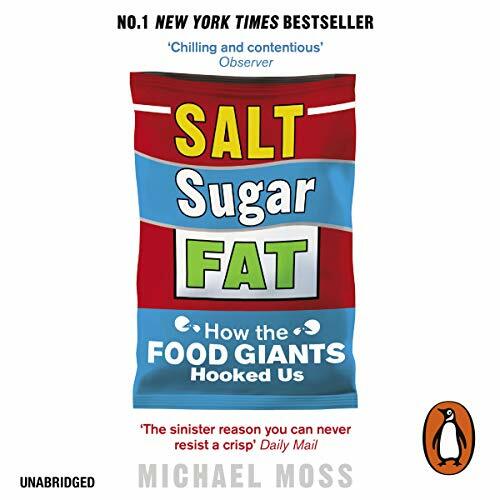 Michael Moss provides great insight into the forces that keep people addicted and unhealthy. An eye-opening book that gets you thinking about what you put in your trolley. Good informative read about the major corporation of the world in this simple, eBook version ! A very enjoyable and interesting listen. If you could sum up Salt, Sugar, Fat in three words, what would they be? This is a really well researched look into how our eating habits have changed, and how they have been influenced by the big food companies. Even though it focuses on American products, and the American food giants (I'm from the UK), I still found it extremely interesting. What about Scott Brick’s performance did you like? 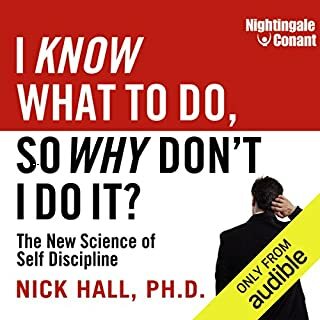 I wasn't sure how a book like this would be to listen to, rather than read, as previously I've only listened to fiction, but I was pleasantly surprised. I sometimes struggle to listen to American narrators that have very strong accents, but thankfully this was not the case. Scott Brick's narration was brilliant, and a pleasure to listen to. I will definitely be looking at other titles he has narrated. I only listen to audio books whilst driving (mainly to and from work), so I have never listened to one all in one sitting. However, it did make me not care about being sat in traffic on my way home, as I enjoyed listening to it so much. I found this book very interesting, and I think the narration was a big part of that. It was very easy to listen to, and I would definitely recommend it to everyone. super easy to listen to and horrifying by how the food industry giants mess with our food to increase profit. 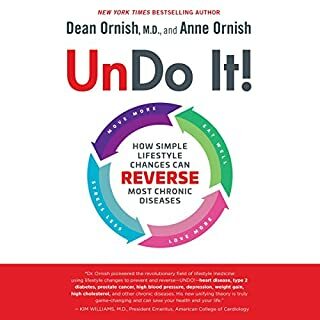 Anyone who wants to understand more about eating habits, rising levels of diabetes and gross obesity and the manipulation the food industry has, should listen to this. The book took a long time to get through. It had some very interesting stories, but I felt it just went on a bit. It has however opened my eyes about processed food, which I am now weaning myself off. Thank you for this book Michael Moss.